When we were teens, we might have hardly known that our body required some specific amount of nutrients for proper functioning. Eating healthy was all that we knew during that time and even now the same notion exists about teenage nutrition. Howbeit, it is true that there happens a surge in appetite around the age of 10 years in girls and approximately twelve in boys. Research says, teens require some specific nutrients in a balanced amount for maintaining their normal bodily functions. The nutritional needs for teenagers are somehow exclusive and they require more calories during the early adolescence than at any other stage of life. For boys: It’s around 2,800 calories per day. For girls: It’s around 2,200 calories per day. 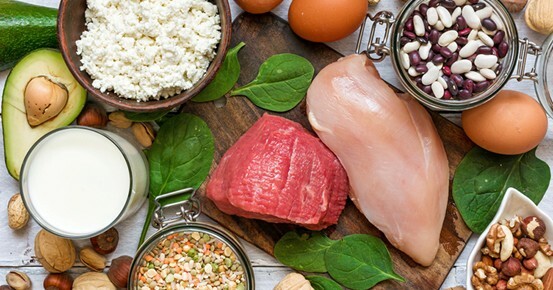 For the proper growth and development of your teenager, protein is one of the most significant and foremost nutrients. This nutrient is solely responsible for build, repair, and maintain the tissues present in your teen’s body. If they don’t consume protein in the required amount then they might lag behind in muscle strength. The average value of protein requirement for a teenager tends to be around 45 – 60 grams. One of the smartest and well-known ways to let your teen get enough protein in their body is consuming non-vegetarian foods. Some of the very good animal sources of protein are beef, chicken, turkey, pork, fish, eggs etc. On the other hand, if your teen is a vegan then also there’s nothing to worry about. Some of the best plant sources which can serve with enough proteins to a teen’s body are beans, legumes, soy, quinoa etc. As growth and development are the two main attributes which are expected to happen during the teenage of any human’s life. So, always makes sure that your teen is getting enough of protein. Carbohydrate is a yet another major nutrients that should be present in a teen’s diet. Carbs, present in starches and sugars, get broken down into the main fuel of body, simple sugar (glucose). However, not all sorts of carbohydrates are equal and important. For example, simple carbohydrates should be avoided and complex carbohydrate is the one that you must include in your teen’s diet more. Simple carbs are nothing but sugars which entice teens more with their sweet taste. They can just offer a small burst of energy and nothing else. 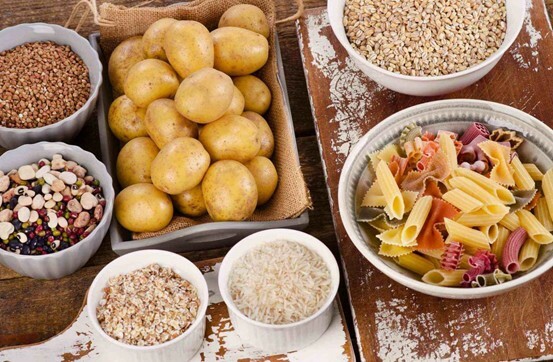 On the other hand, starches provide with fibre and various other assorted nutrients which are really some substantial foods ( filing yet very low in fat). Most of the nutritionists suggest that complex carbohydrates should make up to 50% to 60% of the calorie intake of teenagers. A teen at his/her adolescence must have all the body functioning to be normal and pretty active. In such an instance, iron seems to be one of the most significant nutrients to be present in his/her body. Improper or insufficient intake of this nutrient can even lead to anaemia and fatigue. Iron is mainly responsible for supplying oxygen to muscles, helps in proper brain functioning and developing a good immune system for fighting against dangerous diseases. Your teenage body requires 12 mg of iron but when it comes to your teenage girl, she requires an approximate amount of 15 mg in order to make up the losses that she suffers from menstrual cycle. Hence, you need to keep an eye on the specific amount of iron that your teenage child is acquiring. 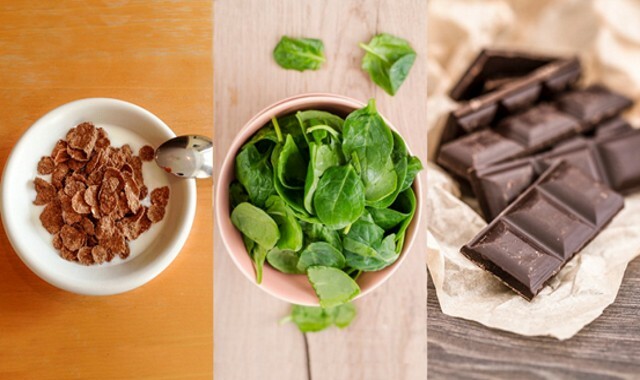 Include more leafy greens in his/her diet along with some whole grains, meat, nuts etc. to ensure the right intake of iron. 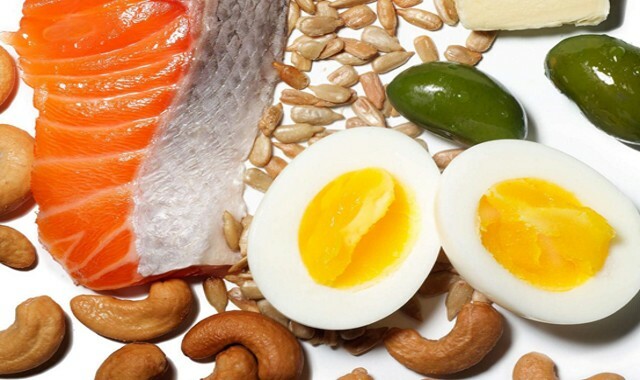 Monounsaturated Fat: It is the most healthy type which is present in olives and olive oil, peanuts, cashews, walnuts etc. Polyunsaturated Fat: It is found in sunflower oil, soybean oil, cottonseed oil etc. Saturated Fat: It is the most cholesterol-laden one among all the three types and also the most dangerous one. It is mainly found in red meat like beef, lamb, pork etc. Also, saturated fat is highly present in butter, cheese, cream, palm oil etc. The aforementioned description might be already giving you an idea that dietary fat can often lead to hazardous health blunders like obesity, atherosclerosis etc. Hence, it is required to limit your teen’s intake of saturated fat to up to only 10% of their calorie intake. The rest of the 20% of your teen’s daily calories must come from the other two healthy types which have the main sources as plant oils. Finally, make it a point to stop your teen eating too much processed and packaged foods as they are all full of unhealthy saturated fat. Apart from getting the right balance of these aforementioned nutrients, you must also include vitamins and minerals, calcium and other such beneficial nutrients in your teen’s diet. 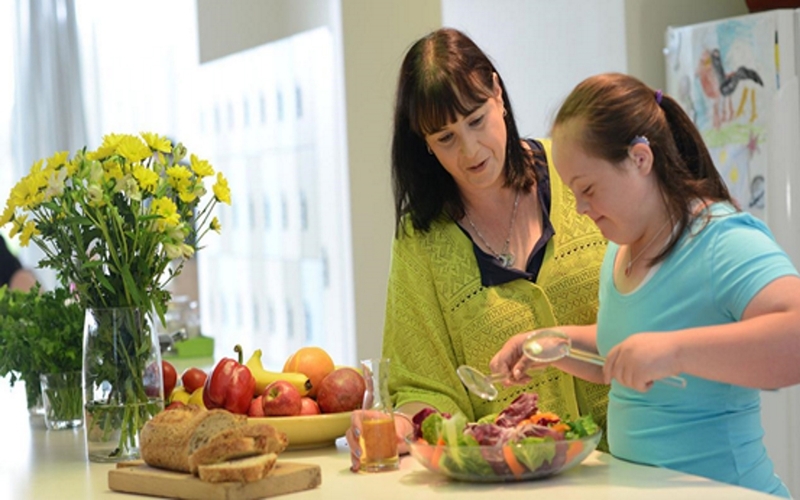 With the right proportions of all these essentials in the regular diet of your teenager, his/her body and mind will develop in the healthiest way ever. Let your teen eat right and grow right!